888Poker have released a full version of their 888 Poker Android app which allows players to play poker online using an Android device with along with their latest app. Mobile Poker has become a huge market for many online poker rooms, recently PokerStars Mobile and Winner Poker App were also launched. To get 888Poker Mobile on your phone, you must first sign-up for a free 888-Poker account. Once your account has been created you can download 888 Poker Android app on your mobile phone or tablet. To get the 888 Poker Android App working on your phone you will first need an 888Poker account, this is a free registration process. To sign-up for an 888Poker account you can download 888Poker software on your PC and then sign-up using the registration form on the lobby login screen. Alternatively you can also sign-up for an account without downloading any software by registering through the 888Poker instant play, no download poker software. Once you have created your free 888Poker account and you have a username and password, you can download 888 Android App, below are the steps required to install 888Poker Mobile. Make sure the device (mobile or tablet) supports android applications. 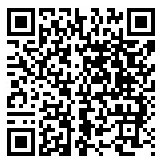 Use the QR code by scanning with your android device or go to 888poker.com/androidapp Download 888Poker for Android - All countries. Enable non-Market apps on your Android device by clicking on Settings > Applications and make sure that "Unknown sources" are enabled. 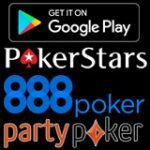 Download 888 Android App using the QR code on this page or by visiting 888poker mobile from your device or for your iPad. Once you have downloaded the 888poker app click on the downloaded file 888poker.apk to begin installing. Once the app is installed you will need to login using your username and password you created when signing up. Already have an account? then simply download and install the app from the 888Poker Android app page. 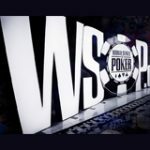 888Poker are ahead of their competition, offering no download versions of their Poker and Casino software, they could possibly be the most technologically advanced online poker room. The 888Poker download features a webcam poker option that also allows players to create their own poker tournaments as well as cash games with 888Poker lounges. 888 Poker Instant Play - play 888poker in your web browser with no download required. 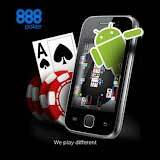 888 Poker have a solid mobile platform among the very best for the latest range of smart phones. 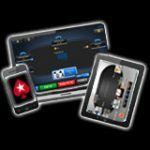 The 888Poker App runs on Android devices including phones plus tablets and a separate 888 Poker App for iPhone and iPad users. With excellent promotions and a great mobile poker app 888 have produced a clear winner. * Terms & Conditions Apply to all 888 Poker bonus codes and offers, always check current terms and conditions. 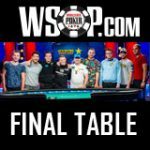 19 Responses to 888Poker Android App for Mobile Phones? Australia, Austria, Belarus, Brazil, Canada, Cyprus, Czech Republic, Finland, Germany, Greece, Hungary, India, Ireland, Japan, Kuwait, Lebanon, Luxemburg, Malta, Netherlands, New Zealand, Norway, Poland, Portugal, Russia, Singapore, Slovenia, Sweden, Switzerland, Ukraine, Lithuania, Latvia, Kazakhstan, Argentina, Colombia, Peru, Mexico, Chile, Georgia, Serbia, Moldova, Armenia, Uzbekistan, Vietnam, Croatia, Malaysia, Macedonia, Slovakia, Philippines, Venezuela, Bangladesh, Aland Islands, Pakistan, Estonia, Mongolia, Thailand, Morocco and Tunisia. Just added Kazakhstan, Lithuania, Latvia and Argentina to the 888poker's giant $88 FREE Bonus Package – NO DEPOSIT NEEDED. The complete list now includes: Australia, Austria, Belarus, Brazil, Canada, Cyprus, Czech Republic, Finland, Germany, Greece, Hungary, India, Ireland, Japan, Kuwait, Lebanon, Luxemburg, Malta, Netherlands, New Zealand, Norway, Poland, Portugal, Russia, Singapore, Slovenia, South Africa, Sweden, Switzerland, Ukraine, Lithuania, Latvia, Kazakhstan and Argentina. $8 FREE immediately upon registration: After claiming the offer via email link, and instant $2 in cash and $6 in tournament tickets will be credited to new players' accounts. $80 FREE Gift: Players will get 10 x $8 gifts as they collect Status Points. For every 250 points earned players will get one $8 gift ($2 cash & $6 in tournament tickets). 1. After claiming the $88 FREE package via an email link, players get an immediate $8 FREE to their accounts. The $8 consists of $2 in cash and $6 in tournament tickets! 2. $80 GIFT: Players get 10 x $8 gifts ($2 cash & $6 in tournament tickets) as they collect Status Points. For every 250 points earned players will get one $8 gift, granted within 48. Players have 14 days to use their immediate $8 FREE and up to three months (90 days) to collect their $80 gift. iOS devices are not supported in Australia and Canada therefore players cannot claim ‘$88 Free’ Bonus Package from any iOS device. Germany and Brazil added to the list of eligible countries receiving $88 registration bonus, instead of $8. This is in addition to Russia, Ukraine, Canada and Australia. Austria, Switzerland, New Zealand, Ireland, Greece, Netherlands, South Africa, Sweden, Norway, Lebanon, Japan, Kuwait, Cyprus, Luxembourg, Malta, Finland, Slovenia, Singapore, Hungary, India and Poland. Australia, Canada, Russia, Ukraine, Germany & Brazil. Russia, Germany, Sweden, Ireland, Greece, Portugal, Romania, Czech Republic, Luxembourg, Finland, Slovakia, Slovenia, Austria, Malta, Hungary, Bulgaria, Poland, Latvia, Cyprus,Lithuania and the UK. $8 bonus registration consists of $2 cash + 6 tournament tickets (equivalent to $6). In UK $2 and 18 tournament tickets. United Kingdom (UK get £5) , Germany, Switzerland, New Zealand, Australia, Ireland, Greece, Netherlands, South Africa, Canada, Sweden, Norway, Lebanon, Japan, Kuwait, Cyprus, Luxembourg, Malta, Finland, Slovenia and Singapore. b. 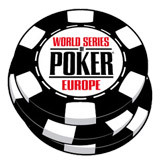 £7 ($12 worth) of tournament tickets (only available on the full PC or Mac version of the 888poker software). We will continue to promote ‘£5 Free’ on all mobile marketing material, indicating if a player logs onto to their PC they will receive £7 ($12 worth) of tournament tickets, as our mobile platform doesn’t yet support tournaments. All other eligible countries will receive $8 free if they sign up through mobile. @HD depends in which country you live for the $8 free bonus, it's only free for some countries. Only Persons located in following countries are eligible to enter the Promotion / win the Bonus: United Kingdom, Germany, Austria, Switzerland, New Zealand, Australia, Ireland, Greece, Netherlands, South Africa, Canada, Sweden, Norway, Lebanon, Japan, Kuwait, Cyprus, Luxembourg, Malta & Finland. Players from Germany, Austria, Switzerland, New Zealand, Ireland, Greece, Netherlands, South Africa, Canada, Sweden, Norway, Lebanon, Japan, Kuwait, Cyprus, Luxembourg, Malta & Finland will receive the Bonus only via the Download version. In order to enter the Promotion and receive the £12/$8 Bonus Package, an entrant must download the Promoter's poker client, mobile application or click ‘Instant Play’ (‘No-Download’ version) and open a new user account with the Promoter at 888 or via any of the Promoter's main websites and landing pages. The entrant will then receive an e-mail to the e-mail address entered in the registration form from the Promoter asking him/her to verify his/ her e-mail address by clicking on a link within the e-mail body as a prerequisite for the £12/$8 Bonus Package to appear in the entrant's account. After registration, entrants have 14 days to claim their £12/$8 Bonus Package before it expires. After claiming, the Bonus package shall only be available for 14 days and entrants who have not used their Bonus within the foregoing time limit shall not be able to receive the expired Bonus thereafter. Promotion is only valid for players who do not already have an existing or previous 888poker account. Instala sin problema en Tablet con android 4.0...Primero me inscribí y descargué la aplicación...aunque tambien se puede inscribir y en el mismo paso instala luego la aplicación...el problema es que EN NINGUN MOMENTO ME REGALÓ LOS 8USD PROMETIDOS AL MOMENTO DE HACERME SOCIO...ALGUNA IDEA ??? Hola. Yo tmb intento descargarme la app para andorid y no me deja. Tampoco para mi tablet puedo descargarla y ésta tiene la ultima versión de android. Alguien puede decirme por qué? Acer - Liquid, Liquid MT, Liquid E Ferrari, and Acer Stream. 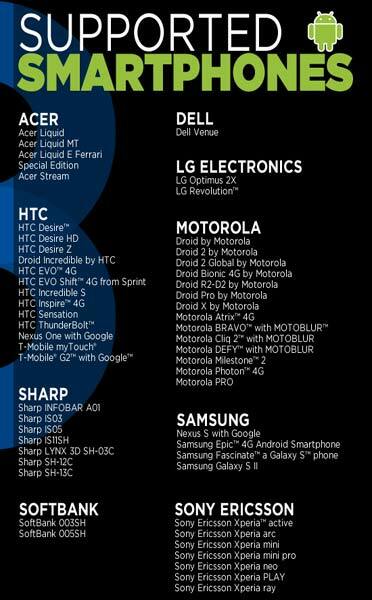 HTC - Desire, Desire HD, Desire Z, Droid Incredible, EVO, EVO Shift, inspire, Sensation, Thunderbolt, Nexus One, T-Mobile myTouch and T-Mobile G2. LG Electronics - LG Optimus 2X & LG Revolution. 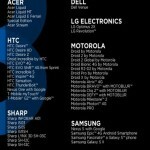 Motorola - Droid by Motorola, Droid 2 by Motorola, Droid 2 global, Droid Bionic 4G, Droid R2-D2, Droid Pro, Droid X, Motorola Atrix, Motorola Bravo, Motorola Cliq 2, Motorola DEFY, Motorola Milestone, Motorola Photon and Motorola Pro. Sharp - INFOBAR A01, ISO3, ISO5, IS11SH, LYNX 3D SH-03C, SH-12C and SH-13C. Samsung - Nexus S, Epic 4G, Fascinate Galaxy S and Galaxy S II. Sony Ericsson Xperia - active, arc, mini, mini pro, neo, Play and ray.